Alpha Peak LLC (my old publishing imprint) is now STRACK PRESS LLC! I decided it was time to update my old company name and to create a logo that was more in line with my work. The word “strack” is an old-school military term that means “very strict in one’s military appearance and grooming.” In other words, totally squared away! After running a 99designs logo contest, the designer Caluya (TM) captured exactly what I was looking for. The logo has 12 open-book-style lines that also look like military chevrons, and the font is clean and bold. I asked for it in red, white, blue, black, and gold. 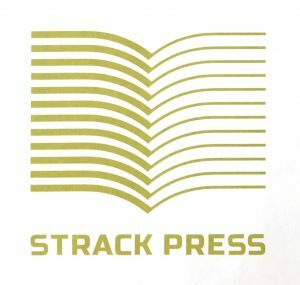 STRACK PRESS, my new publishing brand logo. Books already published will maintain the Alpha Peak LLC imprint, but all future publications will be from Strack Press. By the way, Waterwight: Book I of the Waterwight Series is now available in audiobook format! Sandra Murphy, Voice Mama, has brought my characters and story to life in a most beautiful way! I hope you enjoy my blog posts, and if you do, you may enjoy my books. Check them out here, and thank you! Previous PostEaster Weekend: Let Us Rejoice?Next PostWhat’s the Best GPS for Hunting?